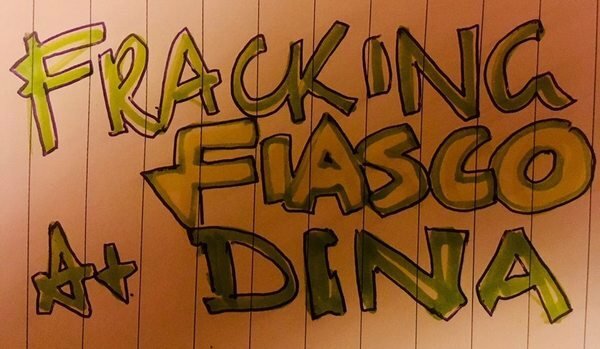 Our Fracking Shambles at Hagglers was a huge success, and we're moving to DINA in town for the next installment... come along and help us raise protest funds and find out more about the fight against fracking locally, nationally and globally. We’ll host a line-up of our favourite foot stomping, hip-shaking live bands and DJs - TBC - keep an ear out for updates! This year they're hoping to begin commercial fracking in the UK, meanwhile the industry is colluding with the government to erode our rights to free speech. Don't let them frack our "Desolate North"!